Louisiana State University Press, 9780807163467, 80pp. In her third collection, From Nothing, Anya Krugovoy Silver follows a mother, wife, and artist as illness and loss of loved ones disrupt the peaceful flow of life. 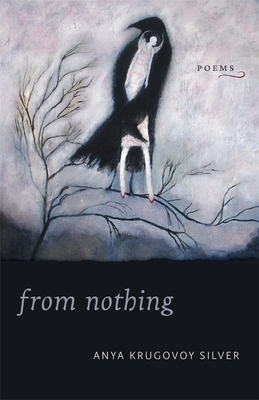 Grounded in the traditions of meditative and contemplative poetry, From Nothing confronts disease and mortality with the healing possibilities of verse. Whether remembering the sound of whispered secrets on a family vacation or celebrating a favorable PET scan, in Silver's keen observations of seemingly mundane moments we glimpse the divine. As she addresses profound questions about how to make meaning out of suffering, Silver's poems attest to the power of art to help us face difficult realities in an often painful world. ANYA KRUGOVOY SILVER's previous collections include I Watched You Disappear and The Ninety-Third Name of God. She has also published poems in many journals, including Image, Five Points, Georgia Review, Prairie Schooner, Crazyhorse, and Christian Century. Silver is an associate professor of English at Mercer University and lives in Georgia with her husband and son.